This time of year I hear from a lot of aspiring farmers. They are filled with passion and enthusiasm and are eager to glomm on to role models. I'm a pretty easy target. I have been at the farmers market in Saskatoon, Sask. Zone 3 Canada for 20 + years, and right now I sell year round, at about 150 market days a year. I see farmers come and go all the time. Typically they last one or two years, then move on to something else. Why? They can't seem to figure things out, or make things go their way, because they bought into the hard way. If you are looking to push yourself to the edge, you can do trampoline bridge jumping or traditional farming. But if you want to start a profitable business growing food, traditional farming is not the way to accomplish it. Instead, keep it simple. In Year 1, you don't need to buy land or a tractor. Use what land you have or can borrow. Keep your investments minimal. Don't get sidetracked with grow tunnels or aquaponics. That can happen, after you have mastered basic production, which is growing consistently, in volume, at commercial grade. Mexico on a holiday revenue, and how your farm is going to pay for everything. Get grounded in reality quickly in the game. How about refrigeration for your produce. Have you thought about that? Have you researched your local markets/restaurant scene to see where the opportunities are? How about logistics? How are you going to make everything happen? It's not rocket science, but it does require thought and planning to make an owner/operated farm work. 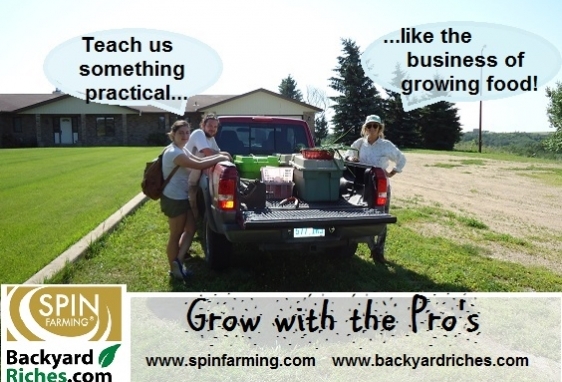 LEARN A FAST, ECONOMICAL,LOW-RISK WAY TO START A FARM WITH OUR LEARNING PROGRAM HERE. IF YOU’RE NOT READY TO GO ALL-IN JUST YET, HANG OUT WITH FARMERS WHO ARE USING OUR PROGRAM TO START AND GROW PROFITABLE BUSINESSES HERE.